Cocoa plantation. 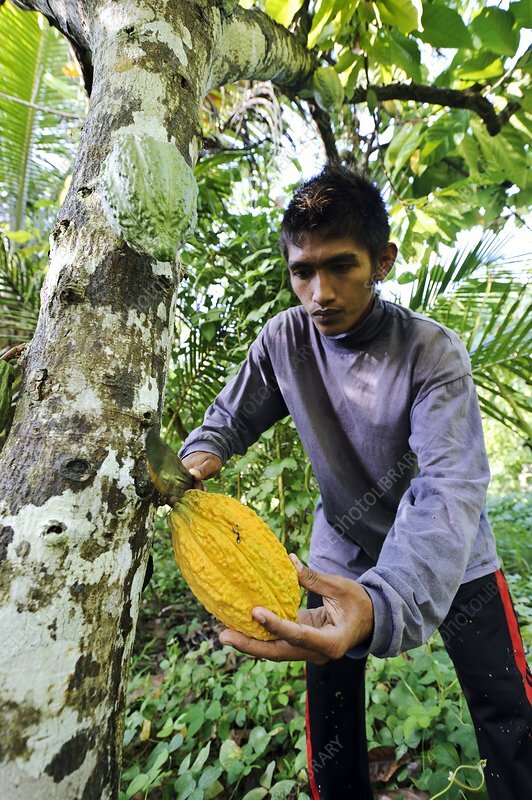 Man harvesting cocoa (cacao, Theobroma cacao) pods from trees at a plantation. Photographed in Sausu Peore, Central Sulawesi, Indonesia.